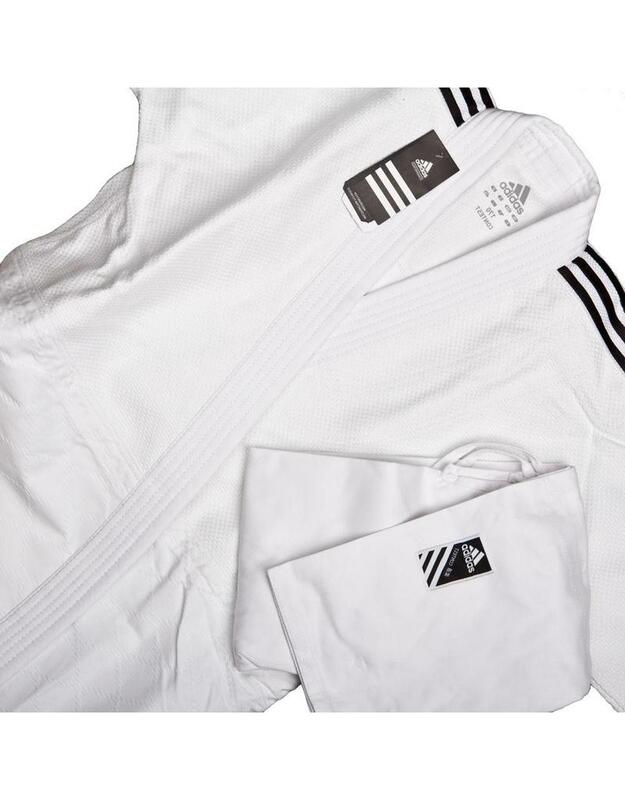 Made from a mix of 55% cotton and 45% polyester with the highest quality workmanship, the Gi gives the judo player a ‘body hugging’ fit. 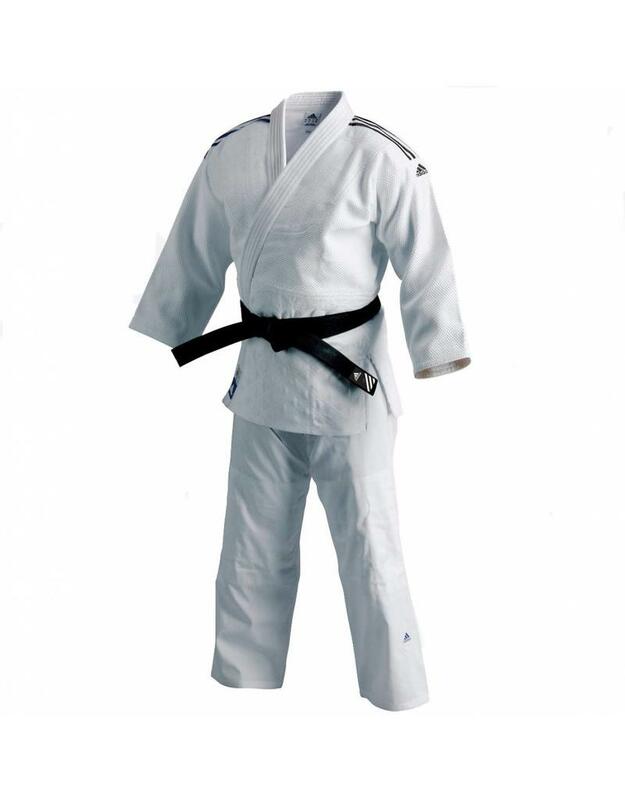 Perfect for Judo competitions and Randori. 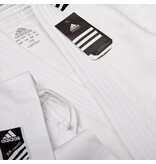 The Adidas Contest Judo Gi Jacket is made from single weave material and weighs about 19oz. 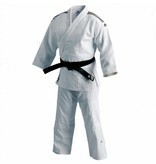 The top half of the jacket is grained cloth on the upper half and the classic judo double diamond cloth on the bottom. 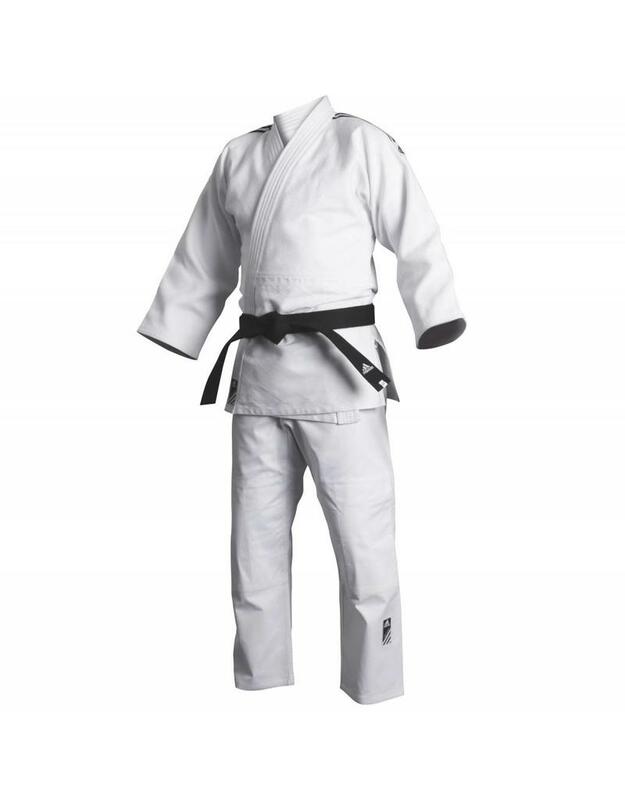 The standard for all judo gi’s but much much higher quality. 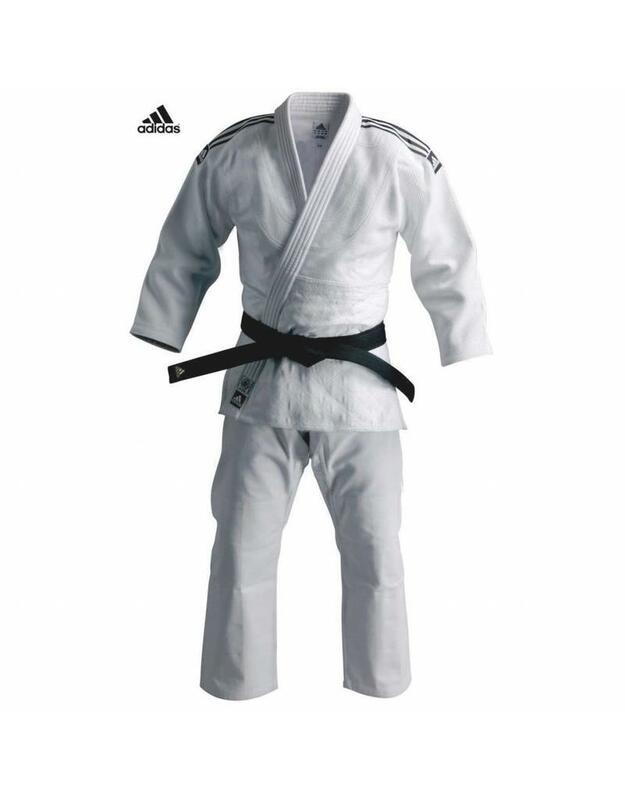 Other features include extra reinforcement around the lapel, to cope with the hard competition Randori with five rows of stitching. The is also five rows of stitching for extra reinforcement down the back. 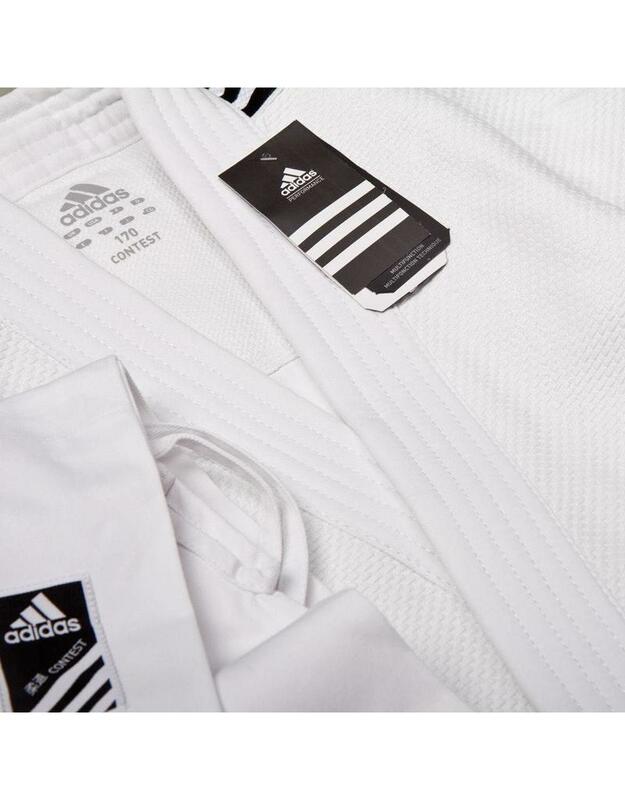 The Adidas Judo Trousers have the traditional drawstring waist, with the standard martial arts ‘cut’ gusset for extra movement. The knees are reinforced and quilted to avoid tearing. It is our aim to ship the same or next working day. It will rarely take us longer but if it does we will keep you up to date. All other destinations: 15-30 working days.